ECLOF Kenya introduced climate-smart agriculture loan products in the year 2015 and the program has been doing well in the regions of Eastern Kenya ever since. In order to expand its program to other dairy farmers, Kiva and ECLOF Kenya are conducting an impact evaluation of the program. During my first week on data collection for the evaluation in Embu, I was amazed by the work that is involved in farming activities and the technology that can be used to improve production. 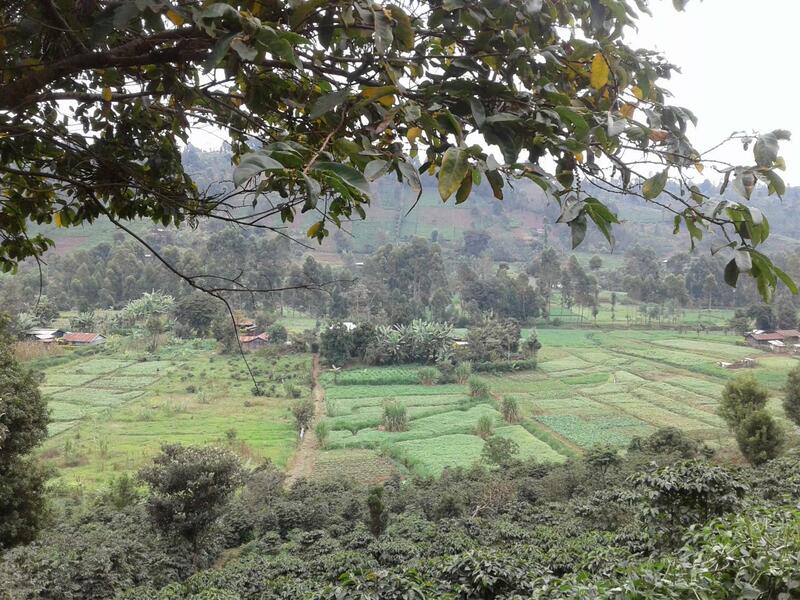 Embu is in the Eastern Region of Kenya, and below you can see a view of some of the farming areas in Embu. These agriculture activities include tea, coffee, macadamia and dairy farming. One of the interventions that ECLOF Kenya is supporting farmers with is the promotion of high quality breeds, like the Ayrshire breed, which supports climate-smart agriculture. 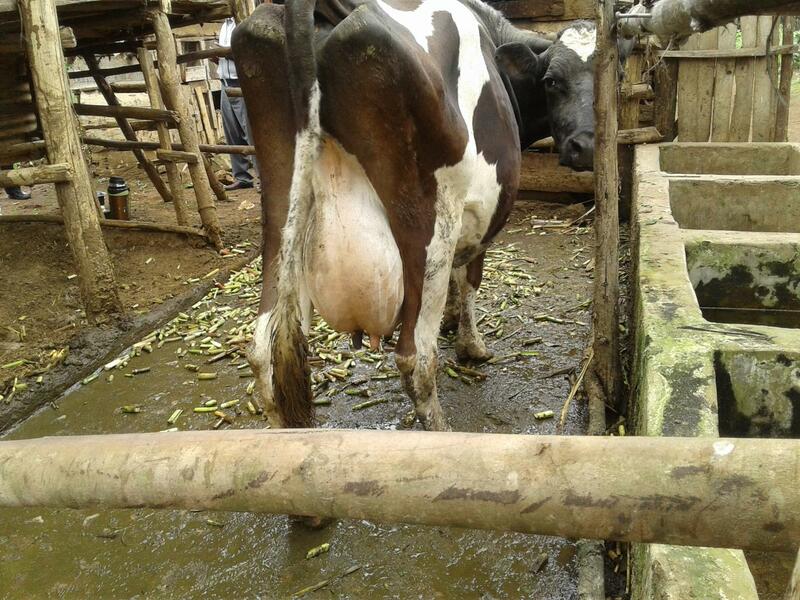 One of ECLOF Kenya's clients had 4 traditional breeds and when he joined ECLOF Kenya he sold all 4 of the traditional breeds to buy one high quality breed, which has increased his milk production to 40 litres per day. Due to the success of his dairy activities, one of his neighbours (who has more than 6 cows with 2 cows producing 26 litres of milk per day) also intends to buy one high quality breed of Ayrshire. However there is so much that a farmer needs to invest into dairy farming activities in order to obtain high returns. 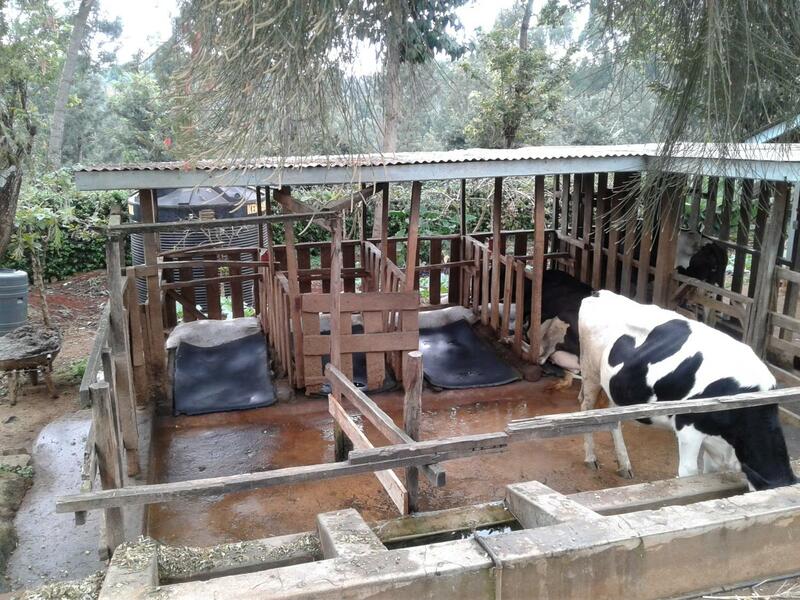 This includes high quality feeds and good cattle pen structures that include sleeping areas - yes sleeping areas - which contribute to increased milk production. These might seem like small investments, but to rural small-holder farmers having access to finance for these investments can go a long way in improving their income. 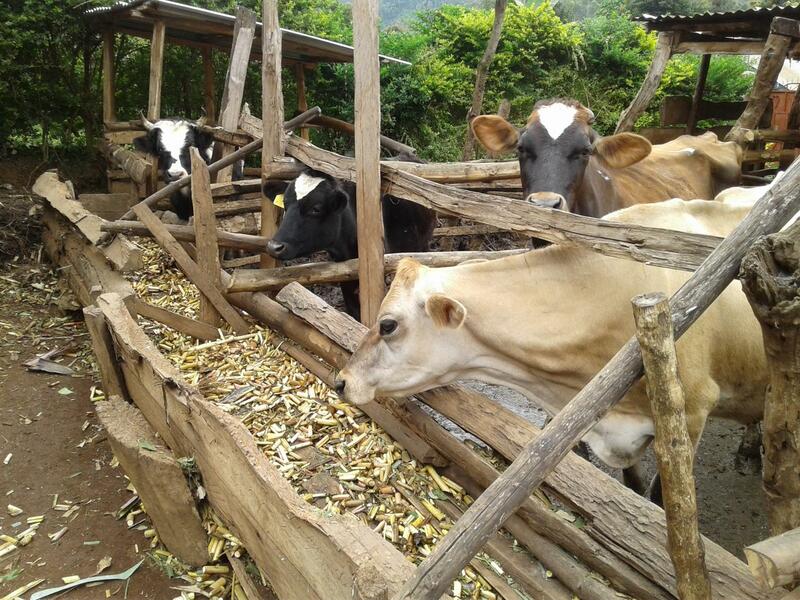 ECLOF Kenya has also established demonstration farms near these farmers where they can get technical assistance and support in their dairy activities. 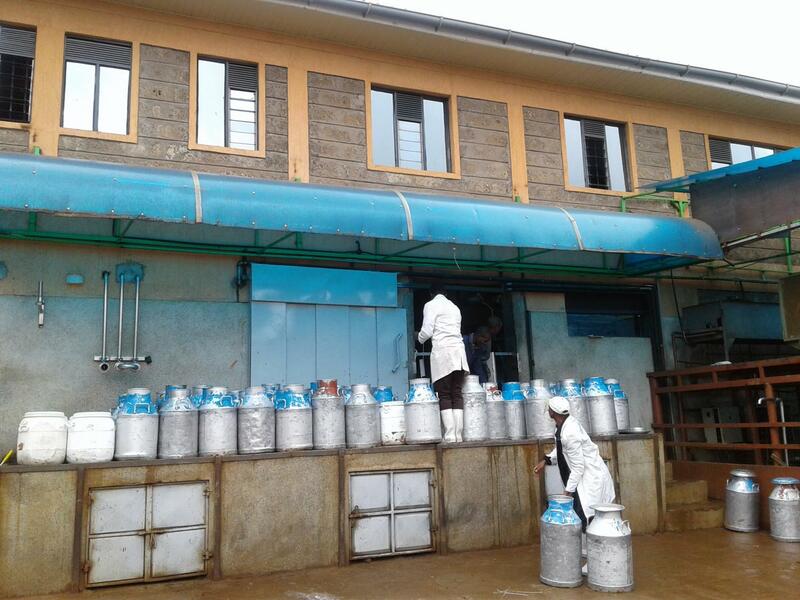 Not only does ECLOF Kenya support the production side, it also supports the value chain process and market linkages where dairy farmers in this region are able to supply their milk to a local dairy. 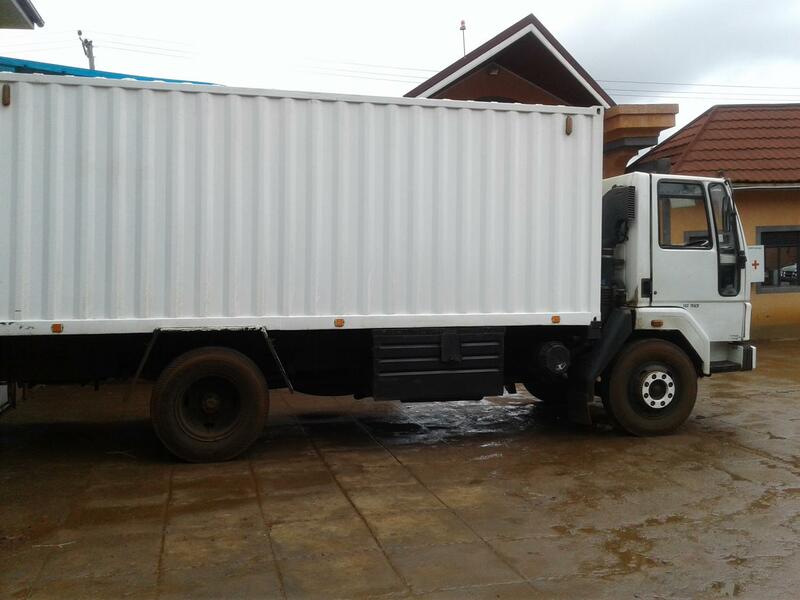 In this case, Superior Highlands collects the milk at collection centres near the farmers twice a day, there by providing a ready market for the farmers. Kiva and ECLOF Kenya are looking forward to expanding this project to other regions and increasing access to finance for rural small-holder farmers. With lenders like you, Kiva will continue supporting ECLOF Kenya to reach out to farmers and help increase the income levels of small holder farmers. To support loans with ECLOF Kenya, click here. Lynnet Mlambo was born and grew up in Zimbabwe, the fourth child in a family of six. 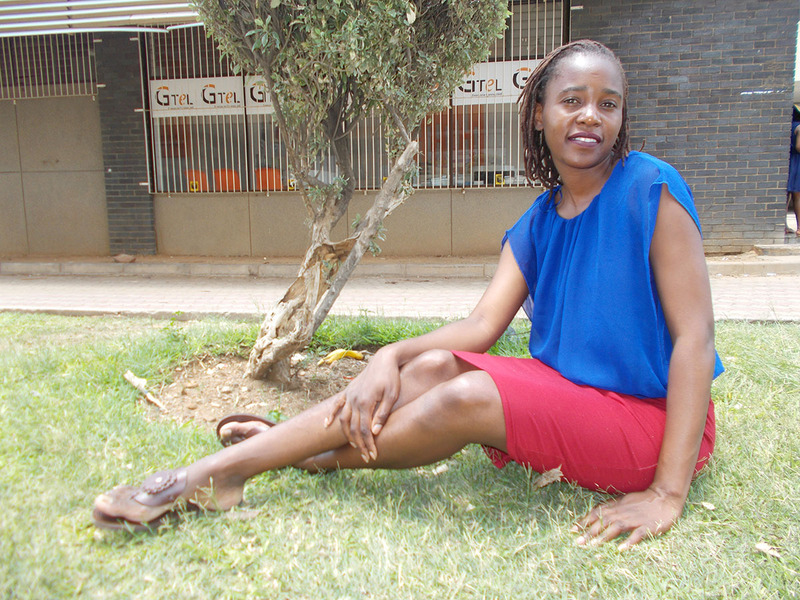 Her dedication to the financial services sector began early on during her one year work-related learning in 2008, where she learned a lot about the struggles and challenges faced by micro-entrepreneurs in Zimbabwe, especially around access to financial services for women-owned businesses. She considers volunteerism as an opportunity to share knowledge and experience with others, learn new skills and gain professional exposure. She has volunteered with organizations that include Save the Children Zimbabwe and Junior Achievement Kenya. Lynnet has a personal motto, “discover to develop,” as she enjoys travelling, meeting new people, exploring new opportunities and gaining professional exposure. She has been to Kenya, Zambia and South Africa in pursuit of her professional dreams, including post graduate studies, attending micro-finance conferences and corporate social responsibility events. Lynnet has a Master’s Degree in Microfinance from Moi University in Kenya, a Bachelor of Science Degree in Banking and Finance from the University of Zimbabwe, Certificates in Financial Analysis for Microfinance practitioners from Microfinance Association (UK) and Sustainable Microfinance Development Program from the University of New Hampshire.